Soybean with jujube is the most delicious match. This alternative match can provides unique taste. Soybean is a protein rich bean, it is high in isoflavones, calcium, vitamin, minerals ad others, added with jujube is very high in iron. It nourishes our blood and improve its quality. LOHAS Organic Jujube Soy Milk Powder helps improve blood circulation and enhance immune system is suitable for our family's daily consumption. 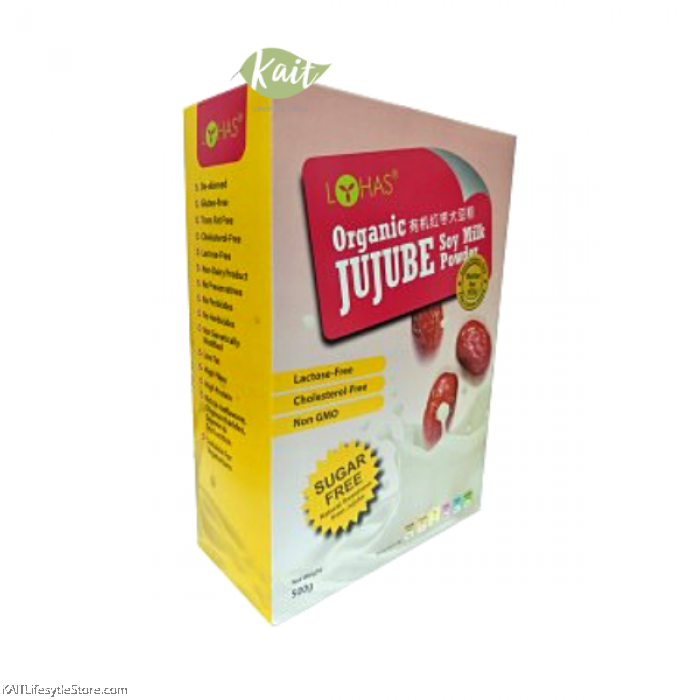 100% Organic De-skinned Soybean, Maltose Syrup, Jujuebe Juice.